The African foreign ministers start to arrive at the headquarters of the African Union Commission in Addis Ababa on Thursday ahead of the 34th Ordinary Session of the Executive Council. The meetings will set the stage for the 32nd African Summit, set for Sunday and Monday. The two-day meetings will focus on a number of political files related to peace and security in the African continent, topped by the situation in Libya, Somalia and Democratic Republic of Congo. 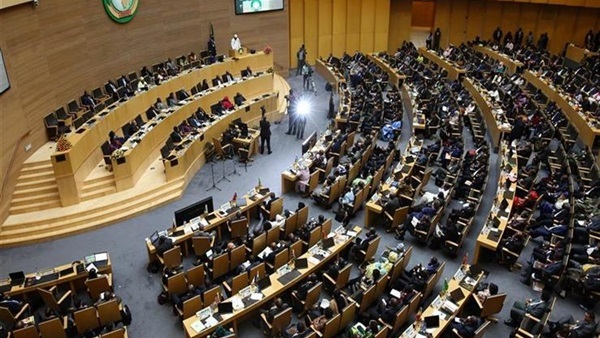 The African foreign ministers will discuss a report on the 37th Ordinary Session of the Permanent Representatives’ Committee that was held on January 15-16, as well as the Annual Report of the African Union and Its Organs 2018. They will also discuss a report by the AU Commission on the humanitarian situation in the continent, in addition to a high-level panel's report for assessing candidate countries to host the African Space Agency.